The full UFC 234 countdown episode has been released. The UFC is gearing up for their next pay-per-view event as the UFC 234 show is just less than a week from taking place and the hype is on. 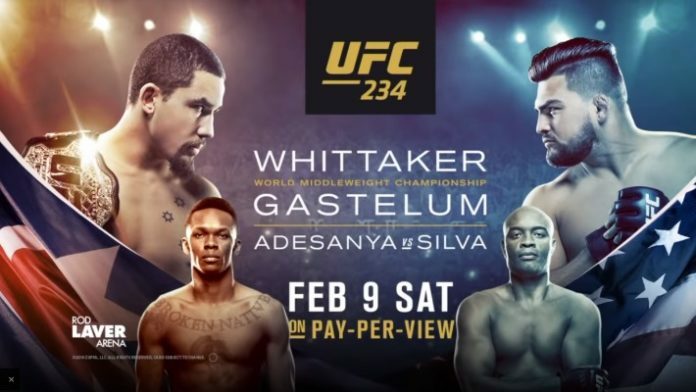 Robert Whittaker vs. Kelvin Gastelum in a middleweight title bout will headline the show while Israel Adesanya vs. Anderson Silva in a middleweight bout will co-headline. MMA News will provide live coverage of UFC 234 on fight night. Be sure to join us for live results, highlights, and post-fight tidbits.